27.04.2017 ~ Trần Đình Hoành	~ Bạn nghĩ gì về bài viết này? Female Islamic clerics in Indonesia declared a series of fatwas Thursday, including one to tackle child marriage, a rare example of women taking a leading religious role in the Muslim-majority country. 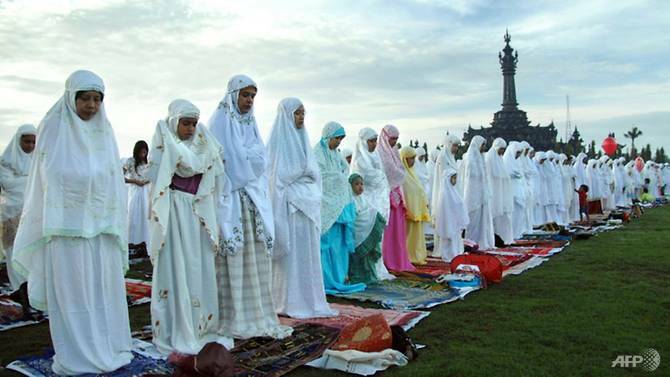 CIREBON: Female Islamic clerics in Indonesia declared a series of fatwas on Thursday (Apr 27), including one to tackle child marriage, a rare example of women taking a leading religious role in the Muslim-majority country.